Input text: The [room] backdrop. a small boy faces back. a small ladder is 1 foot right of the boy. it faces right. a small white bucket is in front of the ladder. the shadow plane. 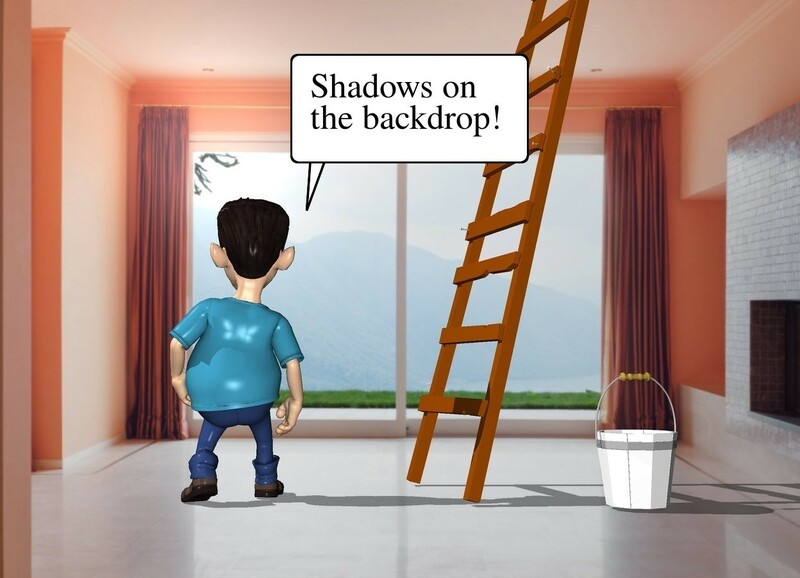 New feature: If you use a backdrop and mention "the shadow plane" then any shadows cast on the (invisible) 3D ground will be superimposed on the 2D backdrop instead. This can help give the illusion of being part of the backdrop rather than just superimposed on top of it.